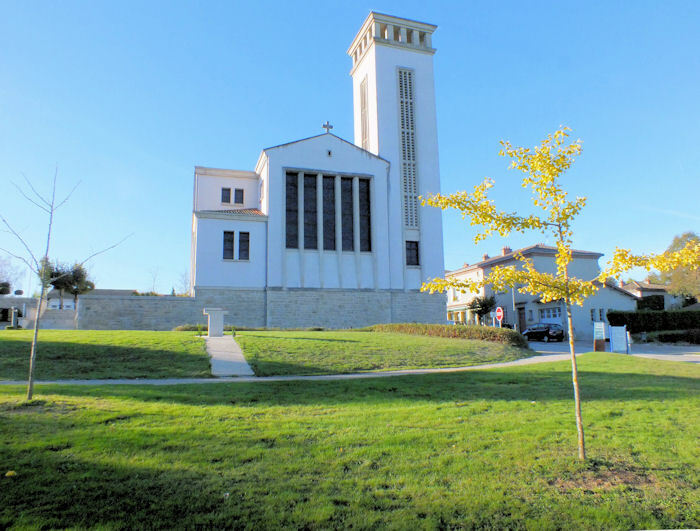 This memorial tablet to the visit by both the Presidents of France and Germany on 4th September 2013 stands in front of the new church of Oradour-sur-Glane and is a token of the degree of reconciliation between the two countries over the events of WWII. 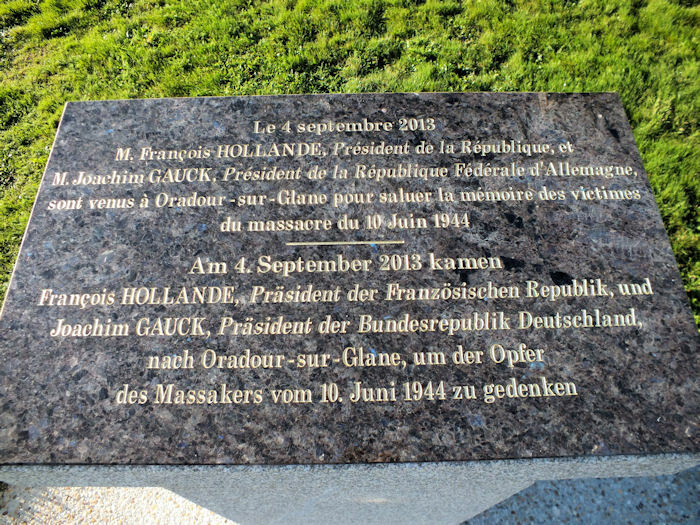 The inscription reads, "On the 4th of September 2013 François Hollande, President of the French Republic and Joachim Gauck, President of the Federal Republic of Germany, came to Oradour-sur-Glane to remember the victims of the massacre on 10th June 1944"
As time goes by, more and more memorials are appearing in Oradour (and indeed all over Western Europe) to the events of the World Wars and it is good to see such acts of remembrance taking place, as it is only by remembering the past that we stand a chance of not making the same mistakes again. This distant view shows the memorial tablet on its white plinth, to the left of centre, at the end of the path leading up to the church.